Supporters of teeth whitening treatments would lead to you to believe that they can do nothing but good things for your smile, while the opposition tries to convince you that they’re the worst thing for teeth since hard candy. In reality, the truth about teeth whiteners lies somewhere in between these two extremes. In the spirit of dispelling misinformation, here’s a look at five of the most common teeth whitening myths. Most of the things we eat and drink contribute to stains on our teeth, so unfortunately there’s no way to keep them white forever. However, if you’re careful, you can ensure they'll stay sparkling for as long as possible after whitening. Avoiding the worst offenders like coffee and soda can help, and so can having your teeth cleaned regularly by your dentist. Beyond that though, you’ve just got to accept that discoloration is a fact of life. "Professional teeth whitening is the only way to get good results." While for many years, this was a true statement. Nowadays you can get quality results with home whitening systems as well. While some stains may be so severe that they require professional treatment, most people will find that this isn’t the case. In addition, there’s no need to go with name-brand home treatments either—they’re normally made with the same ingredients as generic brands. "Teeth whitening treatments are bad for your enamel." When used correctly, teeth whitening treatments pose no adverse risks to your enamel. These treatments are closely monitored by the FDA and the American Dental Association, which work to ensure that only safe products are introduced into the market. However, this assurance of safety doesn’t hold true for people who don’t follow usage instructions. Using whitening treatments for too long or too frequently can lead to adverse effects, such as the erosion of enamel. "Teeth whiteners can lead to oral cancer." A case study of two oral cancer patients made headlines when it was suggested that the cause of their condition was from teeth whitening strips. However, this hypothesis is in direct contradiction with 20 years of research from the American Dental Association, which asserts that there is no link between whiteners and cancer. Considering the small sample size for the case study, it doesn’t make sense to make this assumption based solely on the information gathered from it. However, there is a need for more research in this area. While it’s true that whitening treatments can cause some tooth sensitivity, this is typically minor and short-lived. 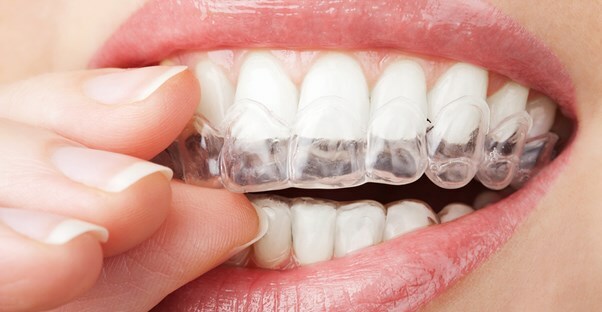 Less than 5% of people who use teeth whitening strips may experience serious pain, but as with the milder sensitivity, it is often quick to dissipate. Teeth Whitening: Does Oil Pulling Work?